It's no secret that I like to take care of my skin, and when it comes to my face, I'm a firm believer in a morning and evening routine. 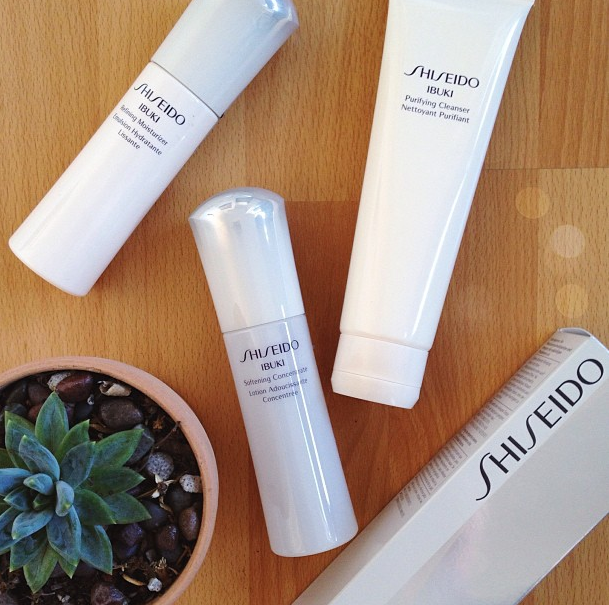 I recently had the pleasure of trying out Shiseido's new Ibuki skin regimen products and am a new convert. Some days, all you really need is a nice long cat nap and a ridiculously cute cat tee. Summer may be winding down for the rest of the country, but in San Francisco, things are just starting to heat up. For days when the wind blows a little less and the sun shines a little longer, there are dresses like this. I call this one, "THE dress." We all have one - the perfect little number that caresses the curves and appears to be made just for you. This floral frock flowed just the way I liked. When I saw it hanging over at Brandy Melville, I knew it was coming home with me. Even better? I get to test out my best "Angelina Jolie Leg" trick. Frankly, I can't compare to Mrs. Pitt, but oh one must try.